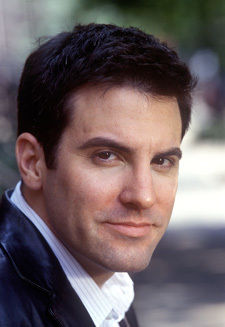 Winner of the 2012 Pulitzer Prize for his debut opera Silent Night, Puts’s works, which include two operas, four symphonies and several concertos, have been commissioned, performed, and recorded by leading ensembles and soloists throughout the world, including Yo-Yo Ma, Jeffrey Kahane, Dame Evelyn Glennie, the New York Philharmonic, the Tonhalle Orchester (Zurich), the St. Paul Chamber Orchestra, the Miro Quartet, and the symphony orchestras of Baltimore, Cincinnati, Detroit, Atlanta, Colorado, Houston, Fort Worth, St. Louis, and Minnesota. Silent Night, commissioned and premiered by Minnesota Opera, has since been produced at Opera Philadelphia, Fort Worth Opera, Cincinnati Opera, the Wexford Opera Festival, Calgary Opera, the Lyric Opera of Kansas City and Opera de Montreal. His second opera, The Manchurian Candidate, had its world premiere in March 2015. His newest orchestral work, The City, co-commissioned by the Baltimore Symphony Orchestra in honor of its 100th anniversary and by Carnegie Hall in honor of its 125th anniversary, will be premiered under the direction of Marin Alsop in Baltimore and New York in April 2016. November 2016 will see the world premiere of a new work for soprano and orchestra performed by international opera star Rénee Fleming. Mr. Puts’ first chamber opera, an adaptation of Peter Ackroyd’s gothic novel The Trial of Elizabeth Cree, commissioned by Opera Philadelphia, will have its premiere in 2017. A former Composer-in-Residence of Young Concerts Artists, he is currently a member of the composition department at the Peabody Institute and the Director of the Minnesota Orchestra Composer’s Institute.